Yes, we bought one of these in 2015 and it has been working since then. At the time, the price was much higher than at the time of this writing, so they probably have a newer model out by now. 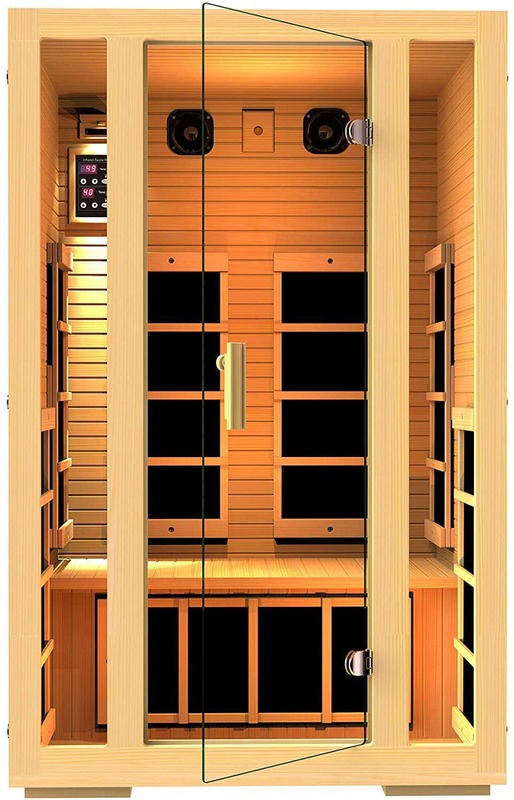 The is a “Far Infrared Sauna”. It works a little differently than the traditional fire heated saunas. These are all electric and they use carbon fiber heating elements to make you sweat. And yes, you’re going to SWEAT. 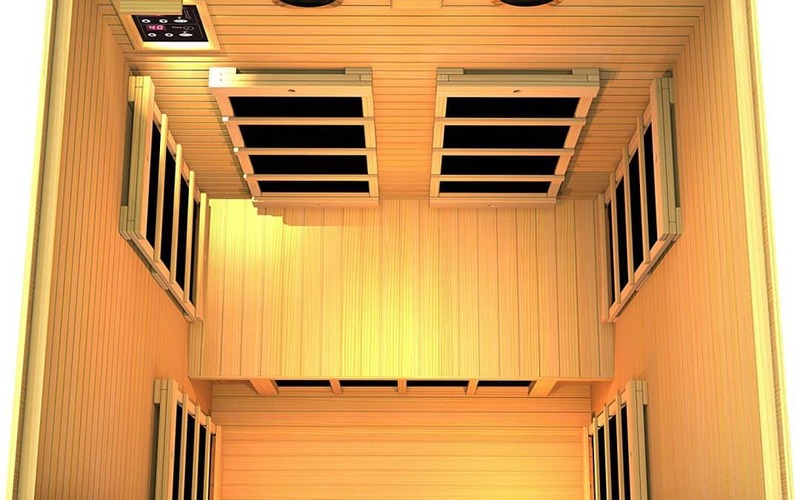 Where Can I find JNH Sauna? I’m going to be completely honest with you. I LOVE THIS SAUNA. But there are a few but’s that go right after that statement. But it’s a pain to setup. But you really need to have an electrician out before you order it. But you better plan on a good location where you don’t mind half the room being taken up by this giant wooden box. The list goes on, but it’s honestly nothing major. If you have the room and a dedicated 15 amp circuit, this is a great buy. I’ll go over my only concerns then we can get into some setup tips and suggestions on how to use your sauna more efficiently. 1 – A Pain to Setup? Honestly it’s not if you have two people. The big thing to remember is that as solid as the panels are, only one was designed to be stepped on. So be careful during setup when you have everything laid out and you’re trying to fit the different sections together. With two people, it’s going to take at least an hour, but this is a one-time thing until you decide to move your sauna. And by then you’ll be a pro! It took us half the time to setup once we moved ours to the garage. No, not really if you follow the manufacturer’s instructions. You really need to have a certified electrician or home inspector out to make sure your outlets can handle the current draw this thing needs. We didn’t! It turns out that I was wrong and there was more than just the sauna fed through a breaker on our panel. The room lights were wired into the circuit, and they went crazy as soon as we turned on the sauna. The lights dimmed on and off for a few seconds before we could turn it off and find another outlet. You definitely need to get a home-run straight back to your panel installed by a professional electrician. 3 – Too Flipping Big to Keep in the House! Of course we read all the product dimensions before we purchased, and you can read them here yourself. We knew it would take up a good bit of the room, but we didn’t realize how annoying it would be. It got old fast, so we moved it to our garage. In my opinion, it’s the best place to keep your sauna. It might not be the most glamorous location, but this thing uses up a lot of real estate. If you want to skip this part, Amazon does sell a professional setup with this product. But we were brave enough to assemble ours without help. The panels go together pretty easily, and it’s not a headache to do if you have two people. Just be very careful with the glass door and be sure to closely follow the routing instructions for your heater panels. The vertical panels can bend over and cause strain on the joints that connect to the floor panel. So be sure someone supports them during setup until you have the latches secure. I did also want to share some tips for saving money with this thing. For starters, we don’t wait for it to heat up to get in. It’s going to take at least 20 minutes for your sauna to get to the higher temperatures. So on a cold winter day, it’s good to hop in early once it’s over about 80 degrees. Once it gets to temperature we tend to spend less time in there, so it gets cut off earlier than it would. Another thing we did when it was in the house was to run it at night when the heat pump is struggling with the colder temperatures. That way, at least the leftover heat from your sauna time is helping out when it is needed the most.